Dr Stokes has been lecturing in palaeography and codicology at the University of Cambridge since 2004, in digital publishing at the Institute of English Studies since 2010, material culture of the book at King's College London in 2011, and formerly in medieval history at the University of Leicester in 2009-10. 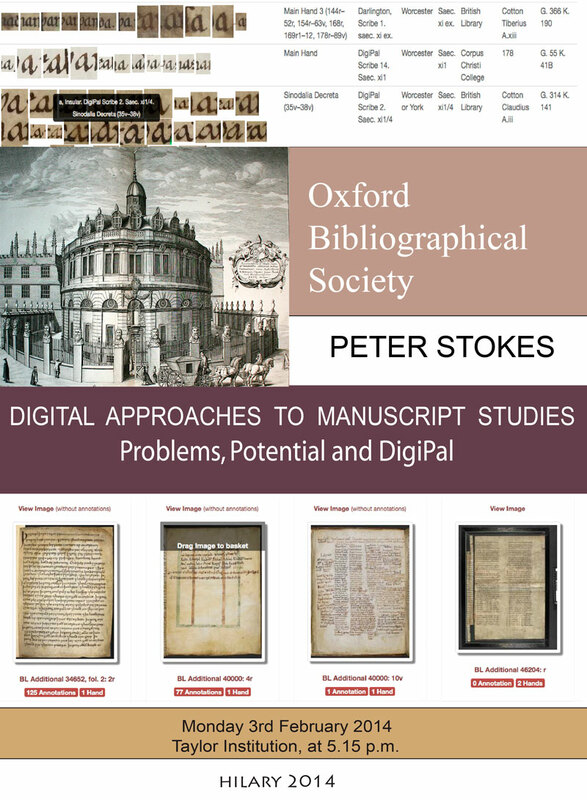 Peter Stokes’s principal research is the Digital Resource for Palaeography, Manuscripts and Diplomatic, funded by a European Research Council Starting Grant (FP7). This is a major, four-year project which will finish in autumn 2014. Its goal is to bring digital technology to bear on scholarly discussion in new and innovative ways by combining digital photographs of medieval handwriting with detailed descriptions and characterisations of the writing, as well as the text in which it is found, and the content and structure of the manuscript or document as a whole. It will incorporate different ways of exploring and manipulating the information, such as annotated images, dynamic maps and timelines and image-processing as well as more conventional text-based browse and search.